It’s here! It’s here! Hooray! 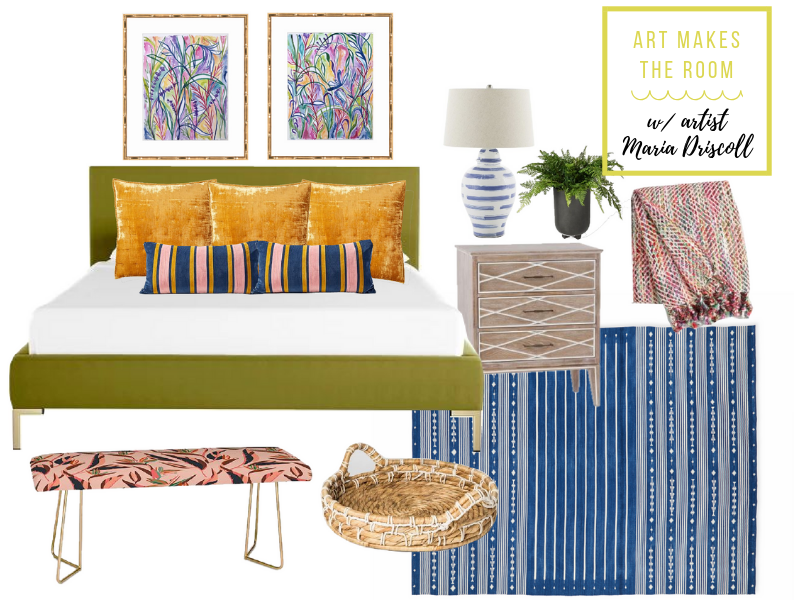 Volume Two of our monthly feature “Art Makes the Room” and we are so excited to share how we took a piece of art from one of our favorite artists, and built a (totally shoppable!) 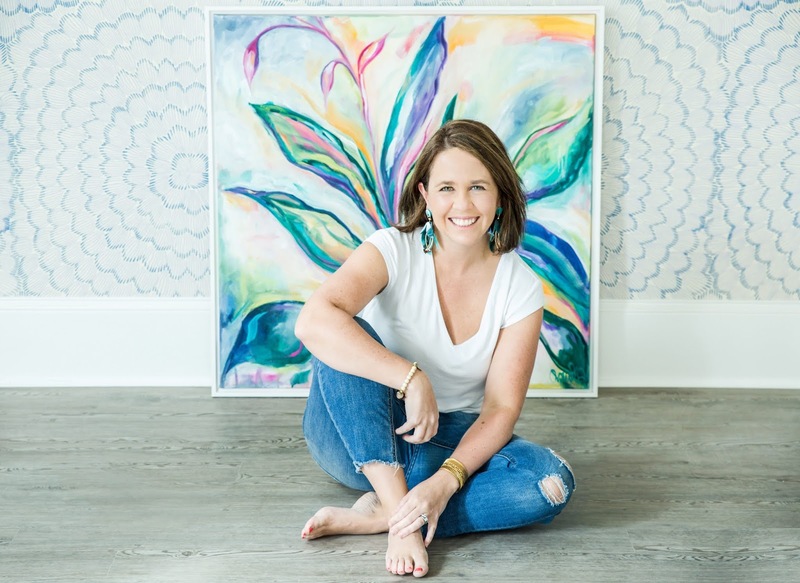 room around it all over again… all with the mindset that nothing is a better focal point for a space than an original piece of art that you just can’t resist. You can read up on all our thoughts about methods of buying art, all the deets on this series, and see Volume One here. This series is all about buying what you love in the art department and making the rest of the space highlight said art! This set of two botanicals was the jumping off point for a cozy bedroom that I would die to have (eyeing you, guest room!). 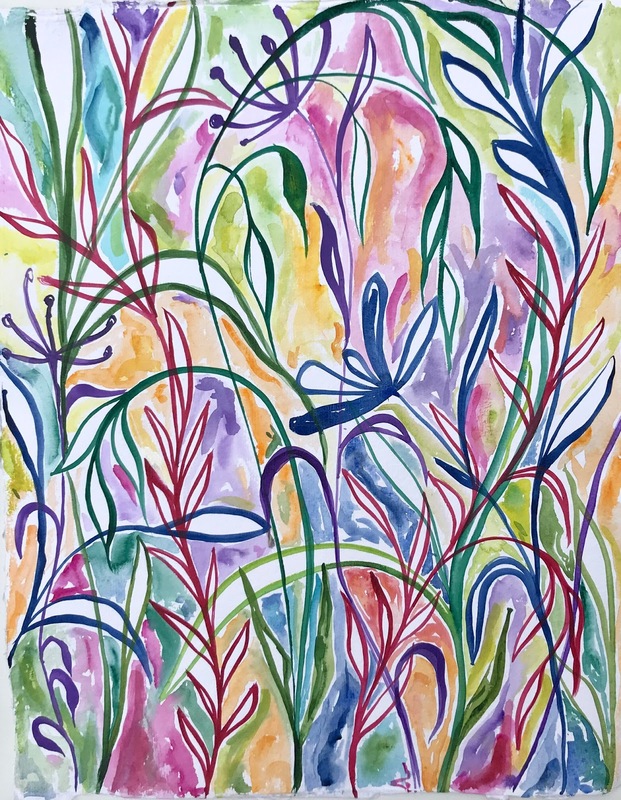 We let the colors of the paintings be our guide layered the space from there. 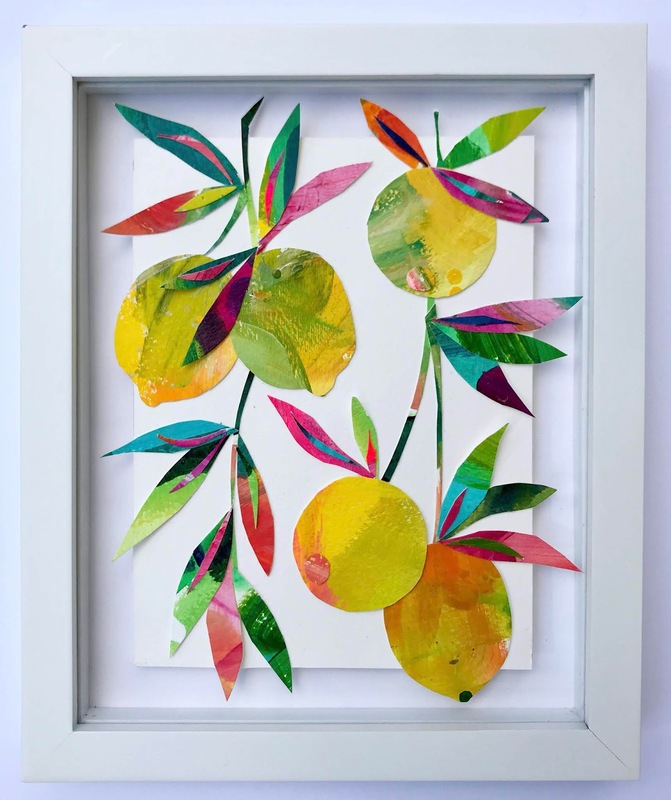 So, along with clicking the link to purchase those two botanicals from our gal, we thought we’d be sweet and give you the opportunity to win one Maria’s coveted original citrus collages (peek below!). Just head over to Instagram to see how you can enter! 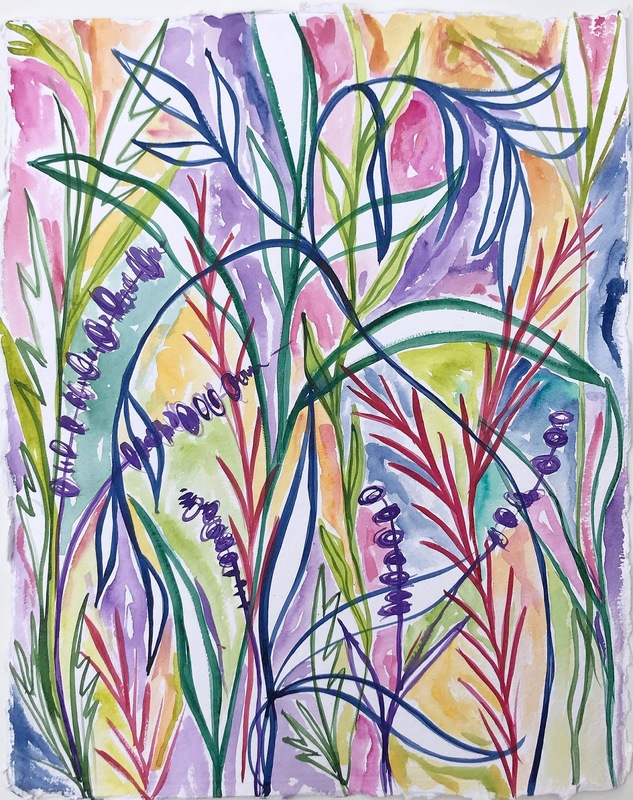 Our hope is that this series inspires you to find the art you love, discover new artists, and know that, with the right piece, the perfect room is just around the corner.